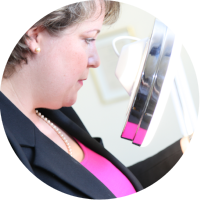 Trichologists do not only treat hair loss and scalp conditions but at Sussex Trichology we also see all manner of hair breakage that can occur for many reasons but is nearly always caused by mechanical damage, i.e. for external reasons. Over use of heat styling aids: hair dressers, straightening irons, curlers. Also aggressive combing or brushing of the hair. We advise that bristle brushes are not used as these can both scratch the scalp and cause the hair shaft to split and break. In all cases the glue or tie method of applying hair pieces will damage the hair to a degree, the chances of a scalp condition occurring due to the individual not being able to access the scalp to wash regularly can exacerbate this. The patient’s own hair can not be effectively conditioned or groomed, for example applying a deep conditioning weekly mask would be very difficult. This method of extending hair most often causes a condition known as Traction Hair Loss. 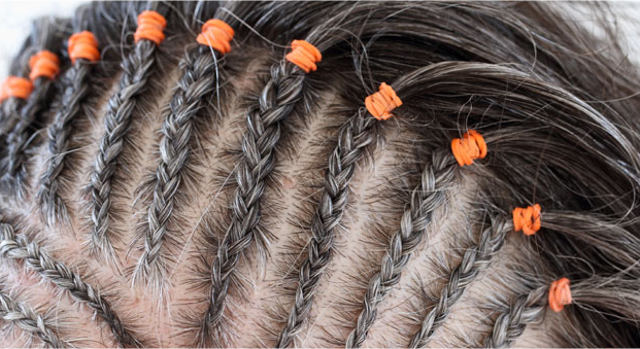 This can also cause after long term use of braided and corn rows a scarring condition. Perms can massively damage the hair structure when the bonds of the hair are broken (to set the required straight or curl) if these are not reformed properly this can result in a weak hair most likely to break. Colour and perms should not be carried out on the same day and this also applies to the various chemical straightening treatments that are available now too. 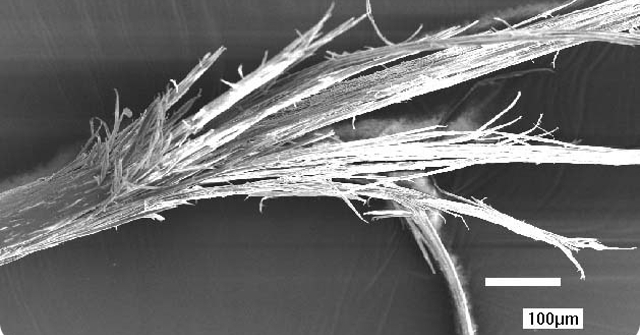 Most will appreciate that hair that has split ends and looks like this can not be “mended” therefore care should be taken in selecting an appropriate mask to use as those that say “repairs breakage” should be considered carefully. The only hope for broken ends known as Fragitalis Crinium is to be cut and the unbroken region above the breakage deep condition to hopefully prevent it happening again. Advice and guidance can be given during your consultation, how to prevent the same damage reoccurring and how to nurse your hair back to health again. This is a combination of diet advice, products best suited to your hair type, prevention during extreme weather please read this blog by Shuna Hammocks.